“Yes.” The Potter beamed. “That broken pot.”. The word which came to Jeremiah from the LORD, saying, Arise, and go down to the potter's house, and there I will cause thee to hear my words. Then I went down to the potter's house, and, behold, he wrought a work on the wheels. And the vessel that he made of clay was marred in the hand of the potter: so he made it again another vessel, as seemed good to the potter to make it. Then the word of the LORD came to me, saying, O house of Israel, cannot I do with you as this potter? saith the LORD. Behold, as the clay is in the potter's hand, so are ye in mine hand, O house of Israel. Do you feel like a broken pot? Does it seem as though your life is in pieces? Do you feel as though you are being pulled in different directions? Have you gone through marital problems; family being torn apart; stress; depression set in; health issues; that have overwhelmed you? No matter what the trials and sufferings we have or are going through, we are still very important and treasured by the Master. Just like the broken pot, God can take our broken lives and make them into something beautiful; if we give Him, the Potter, ALL the pieces. Dear Heavenly Father, I come before you, broken like this clay pot, take the pieces of my life that have overly beset me and make me a useful vessel, worthy of your use. Thank you Heavenly Father that you can use the trials and sufferings that I have gone through and turn them into something beautiful so I can encourage others. A good reminder and lesson Michele. I know that I learn most through the trials in my life. I am a broken pot but one who is so grateful to my master. I know He loves me and cares about me. I mentioned your name and linked to your blog today on Heart Choices. I was sharing about the many awesome bloggers I've had the opportunity to meet, including you. How are you doing in your new state? I am thankful He loves us and uses us with our cracks and holes. 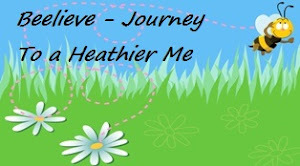 Love your blog.....I am doing some fun blog hopping tonight. I watched a potter working at a resort town some years ago in a quiet season and I told him the story of the potters hand. It was an awesome opportunity.....makes me ask God to nourish any seed that was planted that day. God holds us so close when He forms the clay into shape. They can be no fear when we are so closely held. Amen. Mold us into Your image Lord. Wow, what a beautiful story Michele. 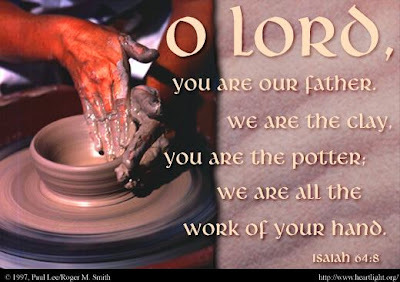 Praise God for the Potter's hands that mold and shape us daily. Thanks so much for joining us today at WFW!